Recognized as best video extract for Mac for years. 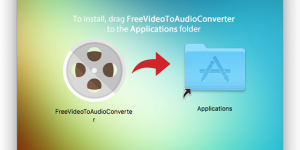 Most popular free video to audio converter now optimized for Mac. 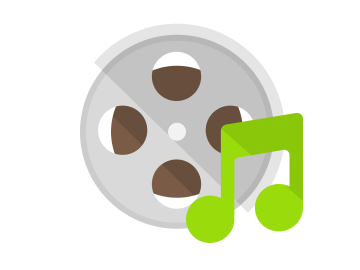 Extract audio from video with top quality and widest format range. 300+ video & 40+ audio formats supported. Batch conversion to convert multiple audios/videos at once. 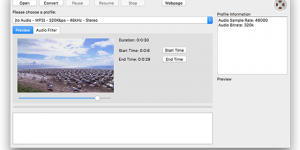 Most stable and comprehensive video to audio converter available for Mac. 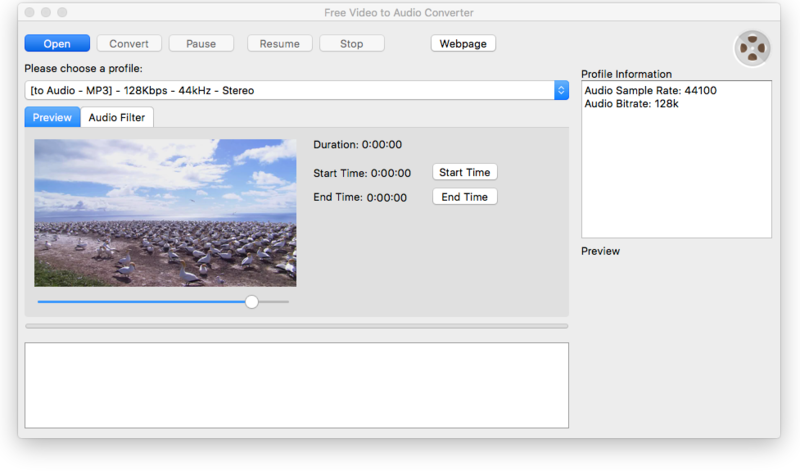 Meet Free Video to Audio Converter for Mac! 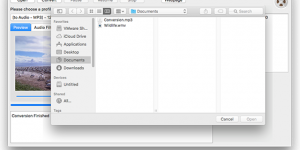 It takes full advantage of the latest Mac OS X to make audio extraction easier, quicker and better. It converts all major video formats as well as hundreds of other, popular or rare, to audio so that Macintosh users can grab the audio track and for playback and further processing. It can batch process up to 32 simultaneous extractions! 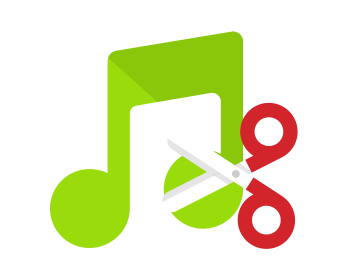 Our Mac audio extractor can handle video formats like MP4, AVI, MKV, MOV, VOB, FLV, WebM, 3GP as well as HD, FHD, 4k, 8K and hundreds of others and convert them to MP3, WMA, FLAC, AAC, M4A, WAV and other 50+ audio formats. The preset profiles are ready-made so that you can output the audio perfectly compatible with iPod, iPad, iPhone and any other devices. You are allowed to preview the video before extraction to set the start & end points to extract audio from only a certain part of the video. 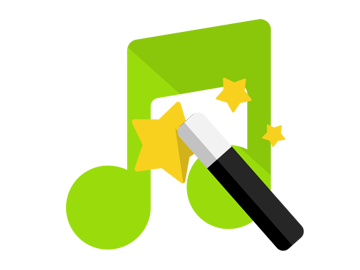 This way you can extract the funny parts, interludes or opening/ending themes to enrich your audio library. 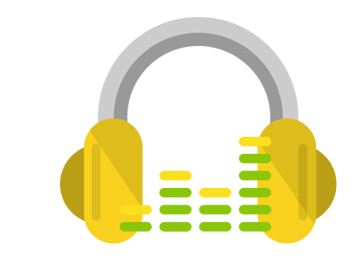 You can choose various audio effects before audio extraction so that the resulting audio will be tweaked as you want. You can change the volume, apply echo, delay and more as well as change the effect parameters for special cases. 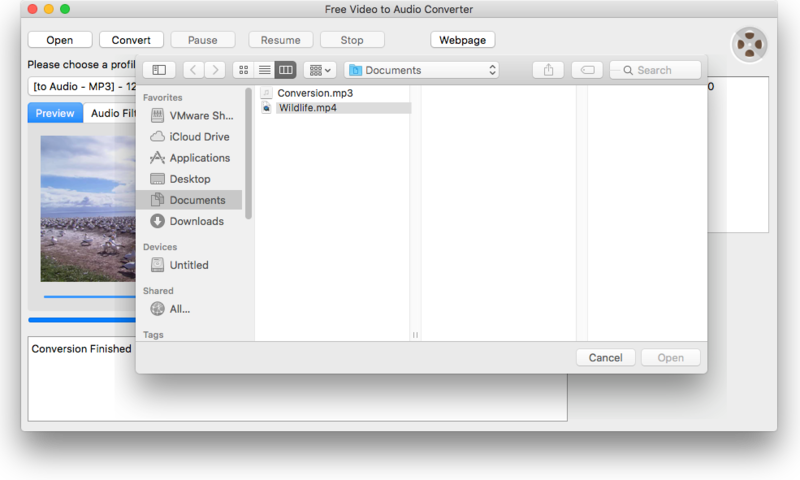 Free Video to Audio Converter for Mac comes for FREE, with neither strings attached nor malware installed in your Mac. 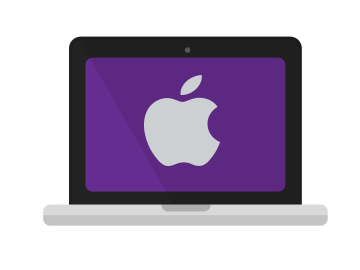 It provides help for Mac users’ audio extraction needs with no limitation. The whole procedure is dumb easy, comfy and the output audio is superlative. 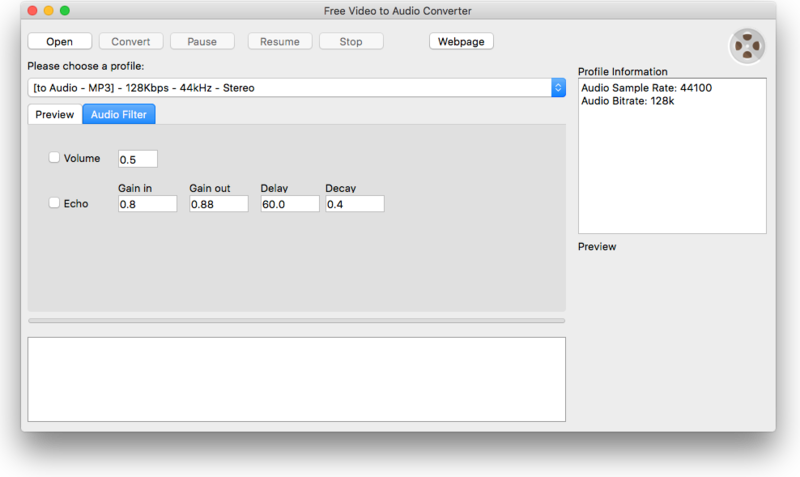 Another surprise for Mac users when it comes to video to audio conversion, letting you convert varieties of video formats to audio. There are a full list of presets you can choose from for fast conversion, really a time saver.